Trump Condemns Nazi Rally: Let's Come Together - Joe.My.God. 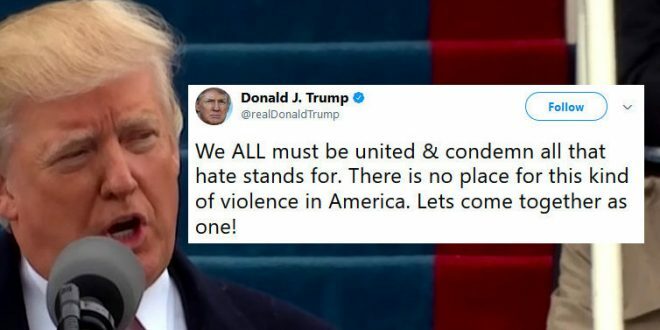 Few will be satisfied with a vague tweeted condemnation of today’s hate rally and some have noted that Trump failed to name or hashtag the event, as even his wife has done. In fact, some extremists on Twitter are already claiming that Trump’s message is intended for the counter-protesters.